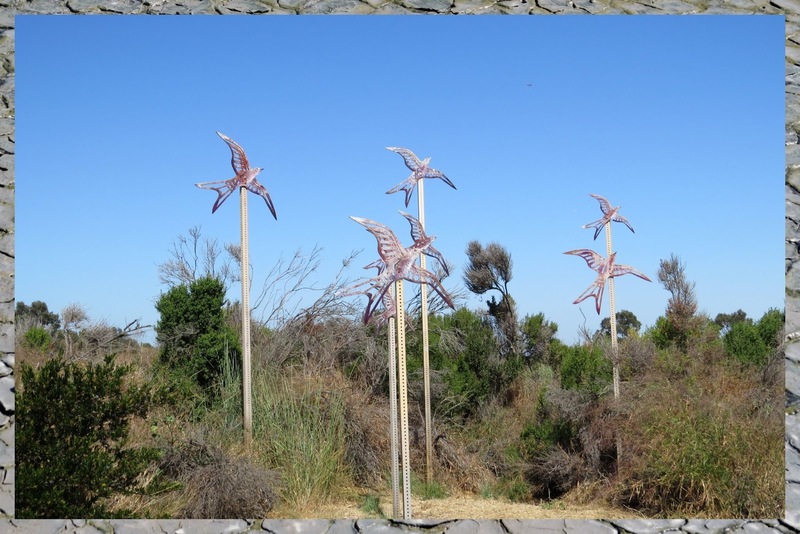 My regular readers know that I am a casual birdwatcher (if there can be such a thing!) and I always seek out new trails and nature areas to explore when I visit the San Francisco Bay area for work. 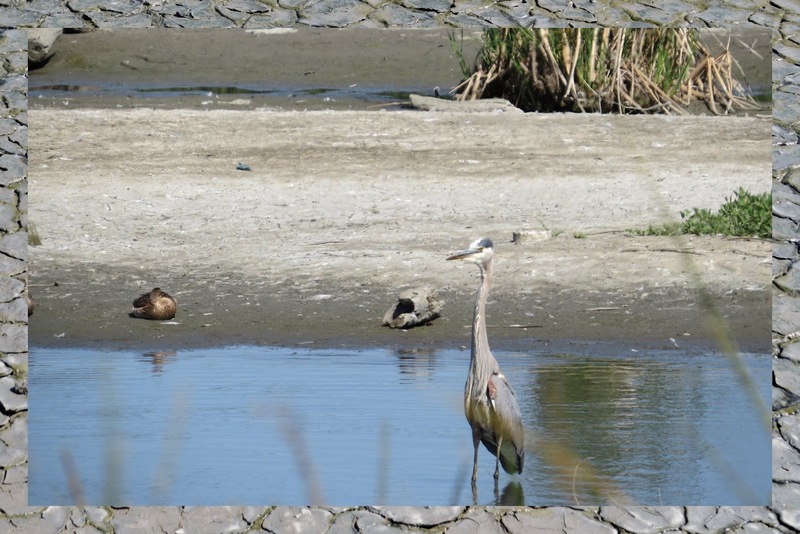 In the past, I've written about four of my favorite birdwatching spots in the Bay Area. 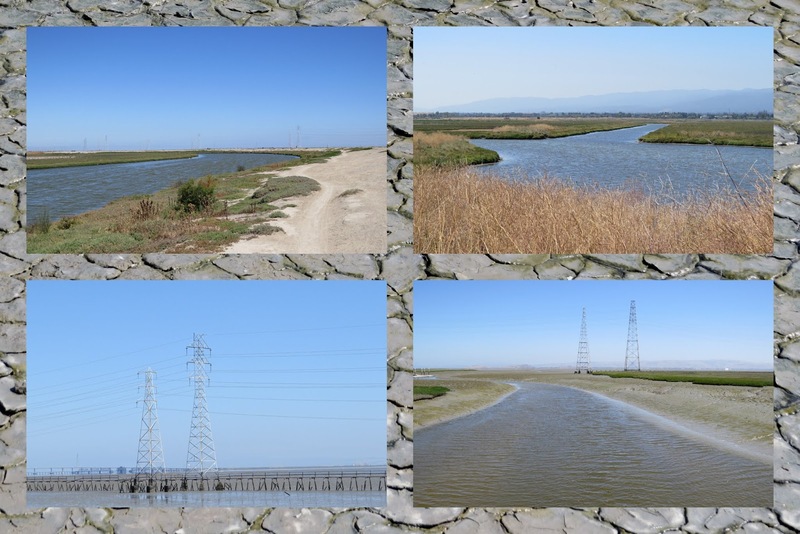 On my last trip to Mountain View, California in June, I visited the area around Casey Forebay at the very end of San Antonio Road where it spills into the Bay (map). I parked the car where San Antonio Road meets the Bay and set out on foot to explore the area around Casey Forebay, Charleston Slough, and Soap Pond. Carved swifts greeted me as I entered the park; a nice touch. A dusty walking and bike trail wound through the watery channels. I arrived in late morning which happened to be low tide. 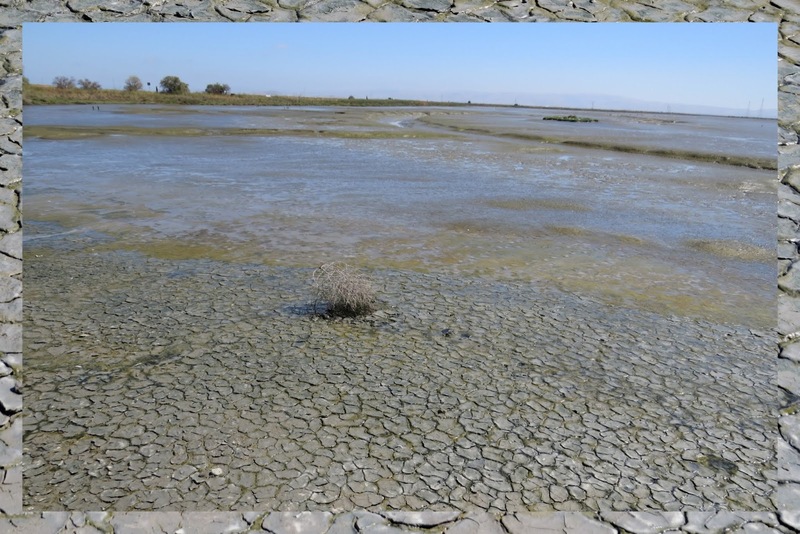 The basin was dry and cracked. Beware if you have a sensitive sense of smell as it can get a bit stinky at low tide. 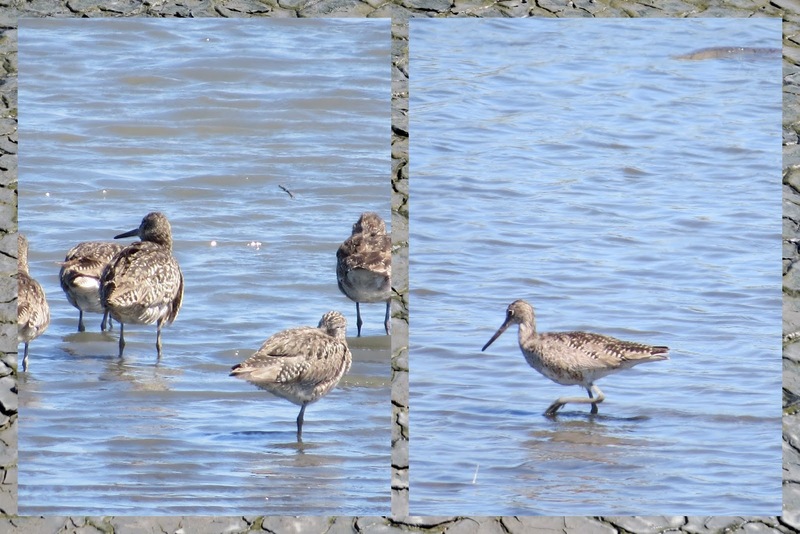 However, this is a small price to pay to see the shorebirds darting to and fro looking for their next meal. We spotted a variety of birds on our trip including a flock of common terns. 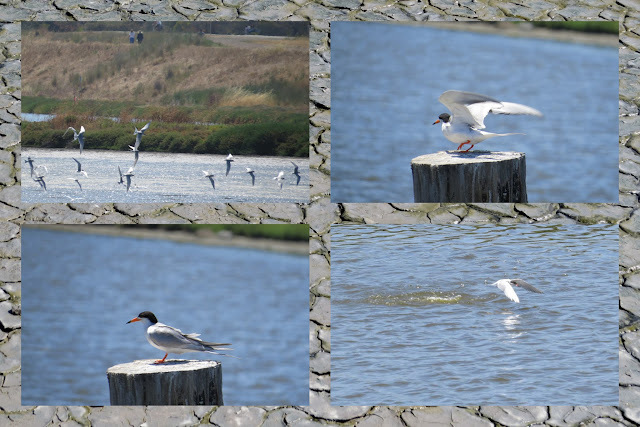 This one tern on the pole seemed to be posing just for me! The path twists and turns a bit. I could hear a cacophony but couldn't see what was causing it. I rounded a bend and soon realized the source of all the noise. A flock of seagulls was tormenting the poor pelicans who had staked a claim on a small island in the middle of the slough. 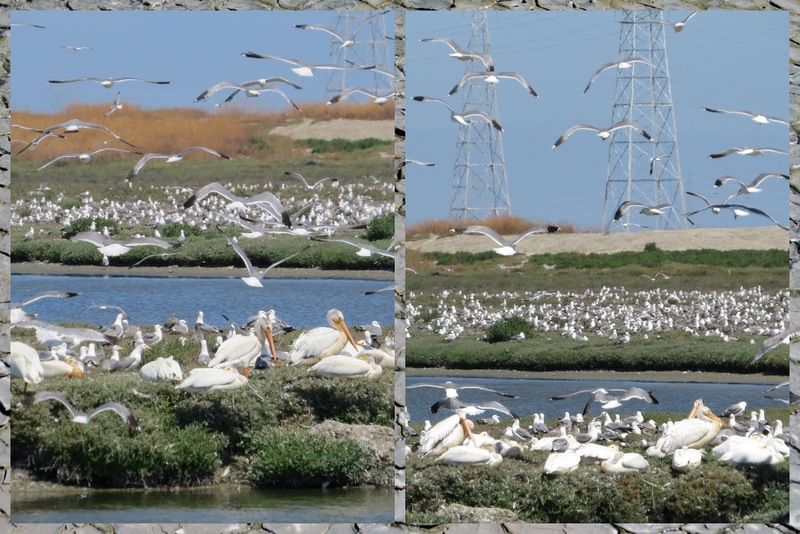 The pelicans didn't seem too happy about it but were quite stoic as the gulls swarmed around. 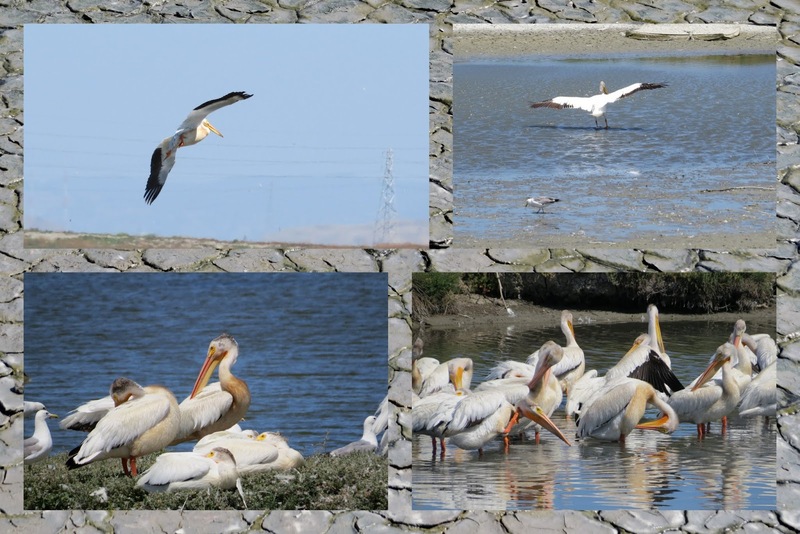 When we visited the area in June, there were tons of giant pelicans around. Just look at that massive wingspan. These are truly gorgeous creatures. Herons may be common but they are beautiful birds and I always enjoy watching them. They are so patient, standing stock still until the moment they strike out at a fish just below the surface of the water. 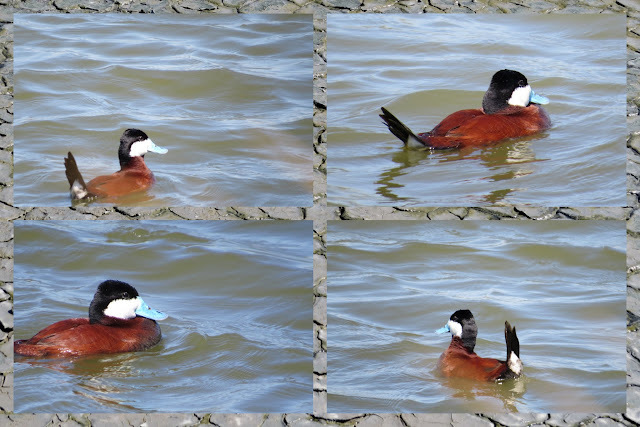 I love seeing Ruddy Ducks in the spring when their beaks are bright blue during the breeding season. Now that's a handsome fellow! We spotted a number of American avocets digging around in the sand. This one almost seems to be aware of its mirror-perfect reflection. The San Francsico Bay is home to a variety of waders. The Western Willet is just one of many that call this area home. After hiking for a good hour of so, I returned to the entrance of the park and spotted this little brown fellow on the way back to the car. 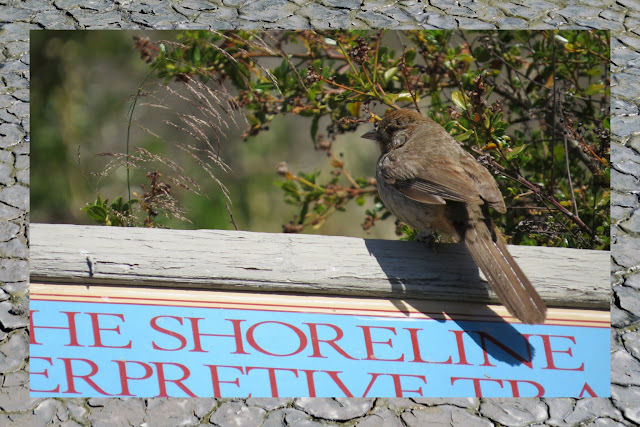 It seems to be part of the finch or sparrow family based on the shape of the beak but I couldn't find a match in my birding book. Does anyone have a guess as to what this is? For identifying birds in the U.S. in general, I recommend The Stokes Field Guide to the Birds of North America. This is definitely not a book to carry along on a hike (it's 816 pages long!) 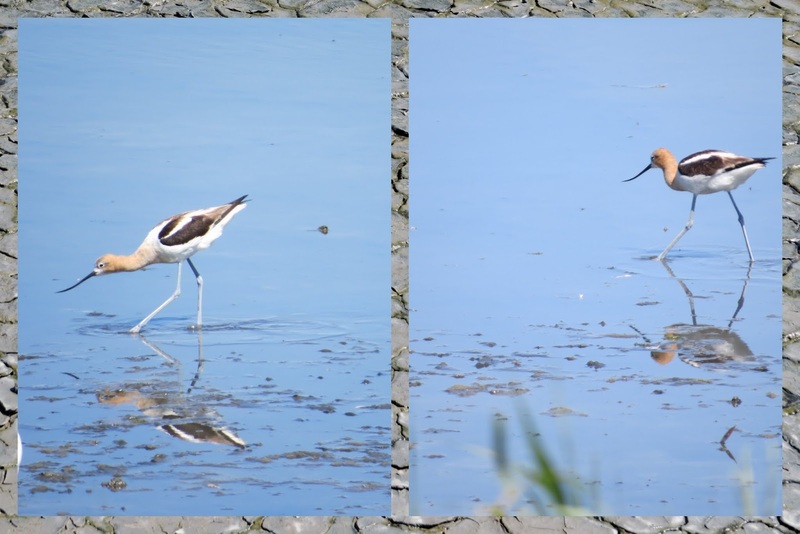 but I like to review my photos and try to match up the different species that I saw afterward. 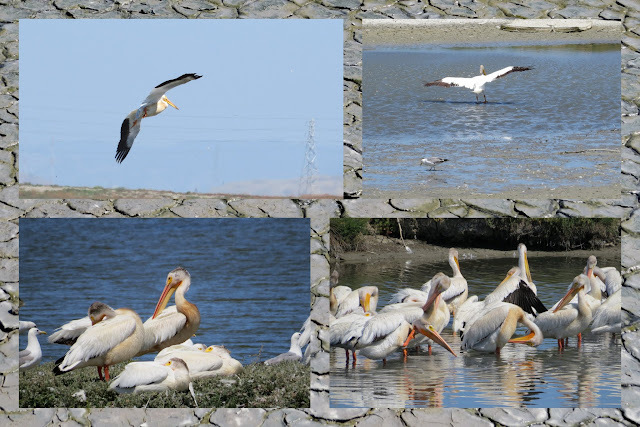 Highlights from a birdwatching walk along the San Francisco Bay near Shoreline Park in Palo Alto.